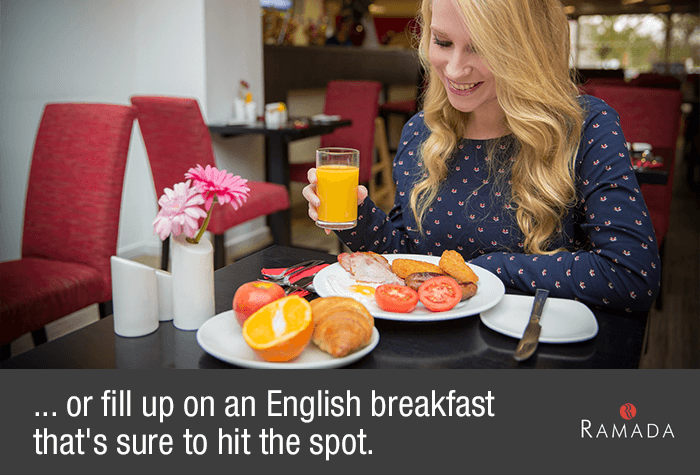 Of all the Stansted airport hotels, look no further than the Ramada Stansted for brand quality at a great price. Free wifi and a buffet breakfast make this a go-to airport hotel for travellers in search of simple pleasures. There's also a service station just next door - so don't panic if you've forgotten any of those holiday essentials! 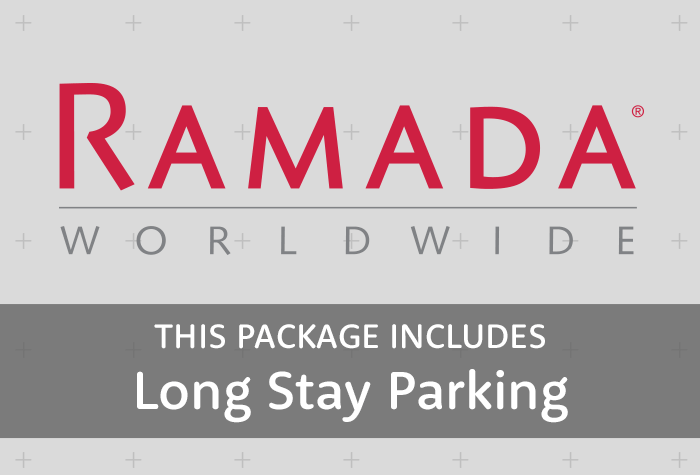 With long stay parking included in the price, the Ramada Hotel at Stansted is a fantastic choice for somewhere to relax in preparation for your flight in the morning. The Ramada hotel at Stanstead was ok but a bit tired and shabby. The main problem was at the car park where our number plate was not recognised and we were asked to pay £188 on return which we did not do. The hotel and parking package worked fine, no problem at all. The hotel however we knew would be basic as on the motorway services but the walls were paper thin, we also had an adjoining door to another room but looking along the corridor they were all classed as family rooms so the same. There was a sofa bed in the room also which was down and made up so moving about was very restricted. I know all hotels have a no smoking policy now however you could smell stale tobacco smoke in our room quite strongly and it seemed to have infiltrated into the bedding and the pillows. The air conditioning was also very noisy and we had to switch it off in order to get some sleep. Not sure we would use again despite being convenient for getting a quick meal at the service station and getting to the long stay car park at Stansted. Long stay carpark fine. Hotel needed a bit of a facelift but OK for one night. We were welcomed by a lovely recpionist and the facilities were second to none. 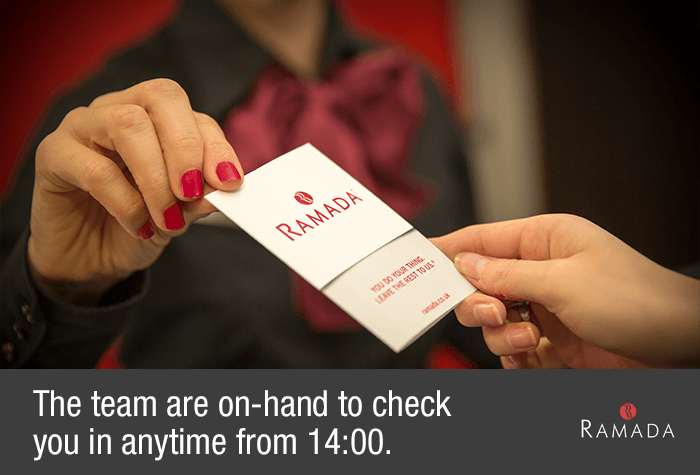 Our customers rated Ramada on average 7/10 (115 reviews). 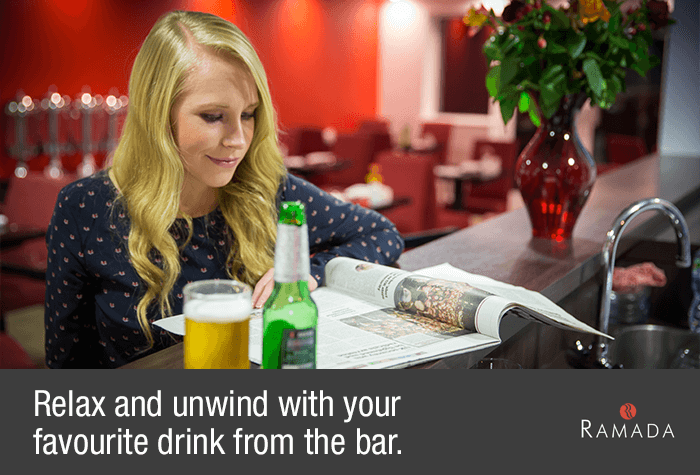 Read Ramada reviews. 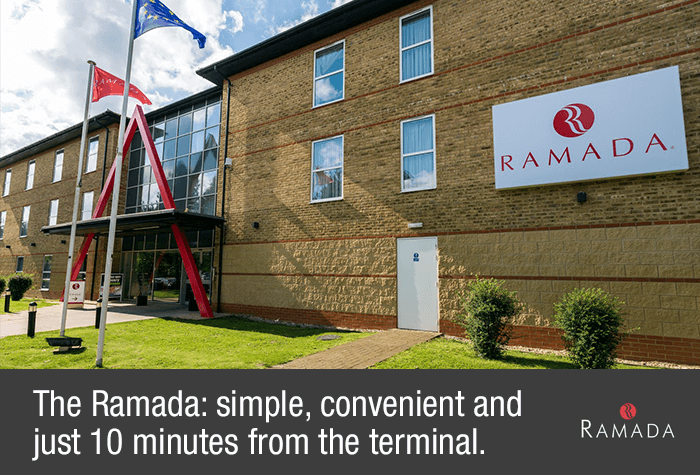 The Ramada Stansted has a handy location just off the M11 at the service station and just over a 5-minute drive to the Long Stay car park. From Long Stay its just 15 minutes from the airport, and you can take the included shuttle bus to get there. Check-in is from 2pm and check-out is by 11am. Reception is open 24 hours. Drive to the hotel, park your car and stay the night. Overnight parking is included here. 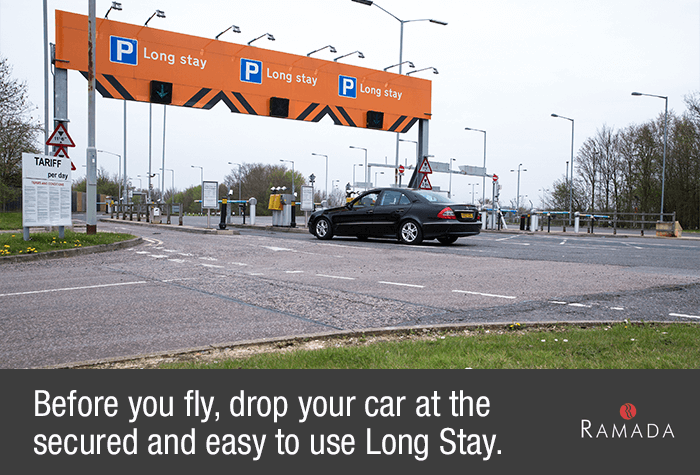 On the morning of your flight drive to the Long Stay, 6 minutes away, pass through the barriers and find a space. Well give you directions to the hotel and car park in your confirmation. En suites have a shower but no bath. 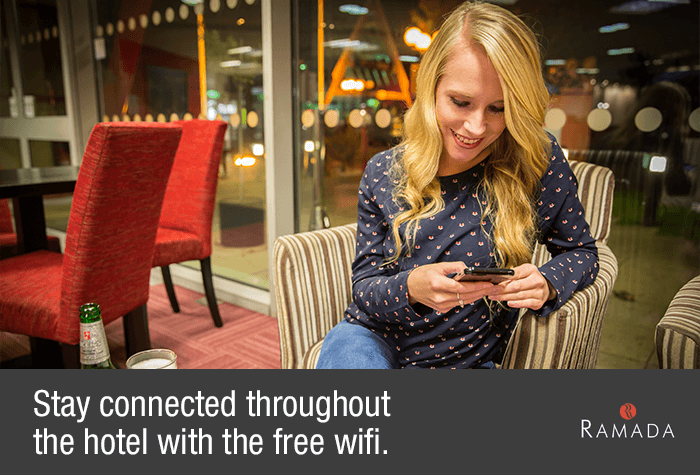 Wifi is free throughout the hotel, and the rooms have wired connections if you want a stronger service. The hotel has a number of accessible facilities, including ramp access and lifts to all floors. Accessible rooms have baths. 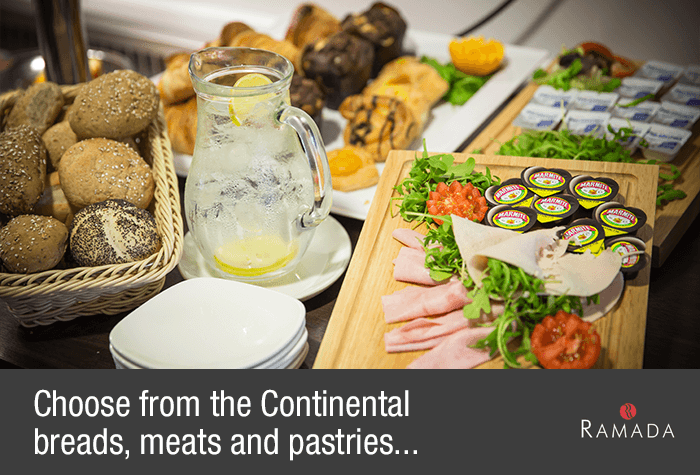 Theres a great choice of food at the Ramada, whether you want to dine at the hotel restaurant, which is open from 6pm to 10pm, or one of the options at the service station. There's also a 24-hour bar for some after dinner (or after breakfast!) drinks. 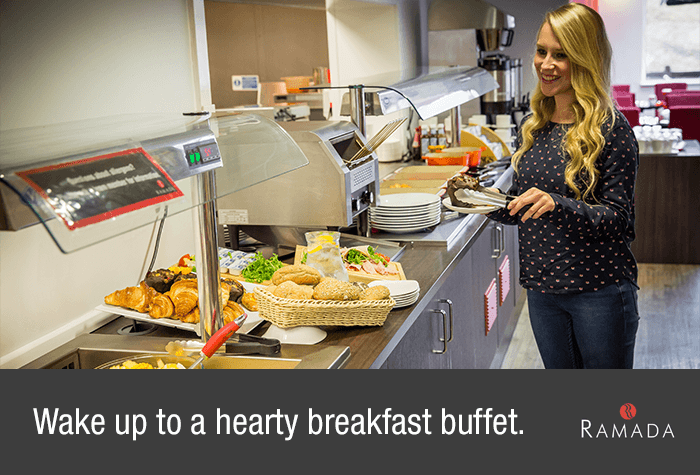 You can get a full-English buffet breakfast in the morning. It costs £7.95 per person, and includes continental options too. Breakfast is served from 6am to 10am weekdays and 7am to 11am weekends. If you need extra room the hotel can store extra luggage overnight for you. 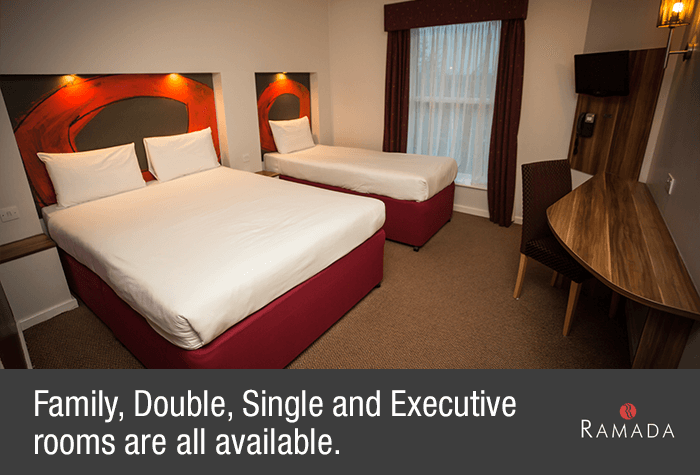 Triple and quad rooms are only suitable for a maximum of 2 adults and 2 children, up to the age of 12. Family rooms are of a standard size and include a double bed and single pull out beds. Disabled facilities There are specially-adapted rooms available and a lift for disabled customers. Drive to the hotel, park your car and stay the night. Overnight parking is included. Drive from the hotel to the Long Stay car park. Its a 6-minute drive and well give you the directions in your confirmation email. The car park has automatic number plate recognition - so make sure you give them the correct car registration number when you book. The entry barrier will lift automatically when it recognises your number plate, and will give you a ticket with your booking reference printed on it. Then all you need to do is park your car and wait at the bus stop for the bus to the terminal. It runs every 15 minutes and takes 15 minutes. You should allow 45 minutes to check into the car park, park and transfer to the terminal. After collecting your luggage and exiting arrivals, catch the bus from where it dropped you off and return to Long Stay. Once youve collected your car, insert your ticket into the barrier and it should raise, allowing you to begin the drive home. Drive to the hotels car park your confirmation email will include driving directions and a postcode for satnavs. Park your car and head inside to check in. Overnight parking is included. After youve checked out of the hotel drive to a set-down lane outside the Meet and Greet office at the airport, opposite the coach station and Red Short Stay car park. Head inside the office and hand your keys to a member of staff. Then you just need to walk into the terminal while a member of the team parks your car. When you return, all you need to do is walk to the Meet and Greet offices, where your car will be waiting, and pick up your keys. After youve checked out of the hotel, drive to the Mid Stay car park well give you directions on your confirmation email. When you arrive the barriers will recognise your number plate and open to let you in. Park anywhere you like and keep hold of your keys you car will stay exactly where you left it until you return. Make your way to one of the bus stops and to catch the shuttle to the terminal. It runs every 10 minutes and takes just 7 to get there. After collecting your luggage catch the bus back to the Mid Stay car park. All you need to do is find your car and drive home!